In a world that over 7 billion people call home, how does an individual decide who their one important person is? Are we really picking one person more deserving than the rest? I talk to people of importance every day. We share smiles, conversations, and dreams. These people are important to me, so therefore they are simply important to the world. When thinking like that, it just makes choosing who will be the recipient of my message that much harder. The last time I was given a somewhat similar challenge, I wrote to my past-self. While I would love to choose her again, because she needs all the support she can get, I know that it might be more feasible to go a different route. No, I’m not going to write a message to my future-self either. We might as well write off my present-self too, because I can send words to anyone and they’ll read it. The truth is of the matter is, I don’t know who that anyone might be. I could send it to actors/actresses. Any of them would be within the reach of my message. From Jennifer Lawrence to Emma Watson, and from Tom Hiddleston to Robert Downey Jr. They would hear what I had to say. My praise for their talents, and my wishes to just be successful in whatever I choose. It would all flow straight from my mind into theirs, but I’m not sure I would want that. Then I think of all the people who have performed a heroic act and who have not received the proper glorified praise for it other then the obligatory 15-minutes. As much as I would love to send it to an actor/actress and know that they would actually see my message, I know that I could send them fanmail anyway. It’s not guaranteed that they’ll see it, but it will be addressed to them. The same as the thousand or so similar messages that have their name on it. My message would be to those who don’t get enough thanks in their life, to the man who saved a baby but only got a tiny news segment and profuse thanks from the family. My letter would be to you. To the woman who stood by the side of a lost young girl just so she knew she wasn’t alone. You can have my thanks. To anyone out there who just got into the school they wanted or who got the job they interviewed for, my letter is to you. My feelings cannot be condensed to just one person, because there are so many people out there who need to hear it. They need to know that their thoughts and actions are valued. That even though the whole world doesn’t know their name or their face that they are still just as important as those who are well known. I give my message to those of you who have done or who will do something worth noting, because even though the whole world doesn’t recognize you that does not make you any less important to those in your life. You are great, and you are loved. We’ve all been given an opportunity to live, so let’s do what we can to make it count. Exploring the mighty blogosphere can be as scary as it is enlightening. It’s a massive place that houses millions of different blogs, with different writers, styles, and preferences; and that’s wonderful. Maybe you’re wondering how I can find something that is so amazing to be even the slightest bit scary. Maybe the answer isn’t as easy as I originally thought. It’s not that I am scared of talent, per se. The thing that scares me is the lingering fear that I will not match up to aforementioned talent. As often as I have been told not to compare myself to others, it’s one of those ‘old habits’ kicks and their death is hard. But this post isn’t about me. Shocking, I know. This post is about you, those of you who will and who won’t read this post. It’s meant for you, I’m just the messenger here. Yesterday I spent a good chunk of the day browsing unknown blogs and discovering new people to be in awe over. Photography blogs, poetry blogs, blogs with cats, music, and food. All different types of blogs passed in front of my eyes, and I gobbled it all up like the proverbial turkey it was. Come the end of my perusing, I felt empty. The fact of the matter remained that as much as I took from the posts and people I had just seen, I had given nothing back. Rather selfish if you ask me. Then it occurred to me that I could at least let the blogger know that I enjoyed their post, a small price to pay for devouring the glimpse they had given me into their life. So I commented. I liked. And I followed. I handed them out like candy to Trick-or-Treater’s and I regret nothing. In fact, I plan to do it again. It’s a fulfilling task that makes me and the recipients feel better, and I like that feeling. We could all do a little better to put a smile on the face of those we admire. A simple ‘like’ can do that, and all it takes is a click of a button. 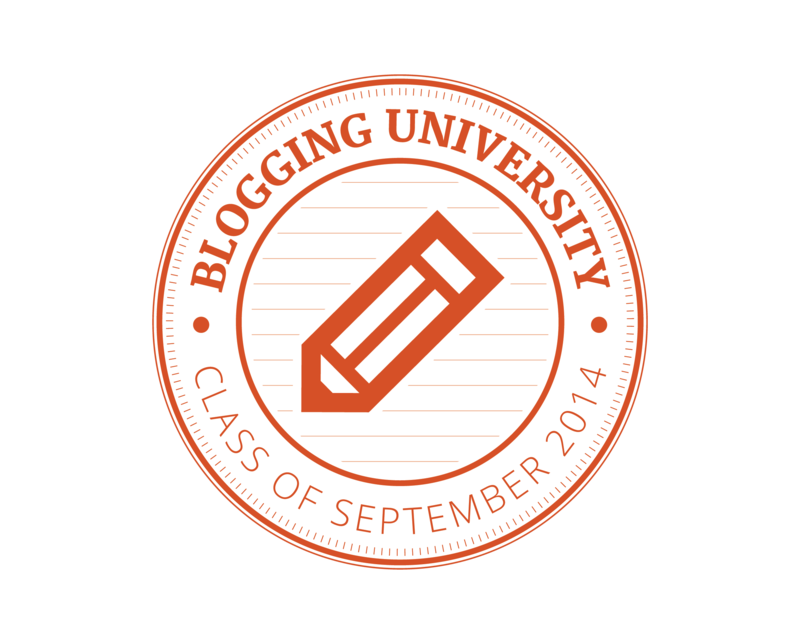 Plus, looking at other blogs is a learning experience. I, for one, learned that my blog needs work. Not that I already didn’t know that, but a certain blogger helped me to realize I needed more cats on my blog. Because cats. For that I can’t thank her enough for the unintentional insight she gave me. Mouse posing for the camera. Louis objecting to having his picture taken. We all have those relationship “deal breakers” that sometimes spring out of nowhere. Figuring out the facet of a potential friends personality is something that can save a lot of heartbreak early on. As contrived as it sounds, I’d like to think that I can be friends with anyone, but we all know the truth for what it is. There are simply people out there who are so incompatible that being around them is torture. That sounds horrible, but it’s true. My question would probably be somewhat basic, and while I do not know of the question I could always resort to, I do know it would be something along the lines of: What do you think of so-and-so? Whether ‘so-and-so’ references an object or a person, that question will often speak a lot about the person answering. I have had too many friends trash talk people who didn’t deserve it, and it’s beginning to unnerve me how often it happens. The answer to that question could be my deal-breaker; because if you’re going to treat that person in a bad way behind their back, who is to say that the same will not be done to me? Seasons change. It is a fact of nature that we cannot escape, and while some people might dread some of the oncoming seasons more than those around them, there are always people who enjoy every little facet of the shifts in weather. Fall is popular, especially so in the Northwestern part of the United States. As for my personal preference, I’m not really sure what it is; but I have come to the realization that I am either constantly changing or I happen to really love all seasons. It seems that each time a season ends I get a little sad, but I’m always so ecstatic for the oncoming season that I don’t dwell on it for too long. Right now, I am really excited for the fall season to come around. Sweaters, boots, layers, and orange/brown hues of everything. It all sounds simply wonderful, and right now in my life I feel like that little bit of wonder can take away the pain of real life. I know that it won’t really, Fall is no magic cure, but in the moment I can pretend that it can mend all that is broken around me. Hopefully, my moment of positive naivete can act as a healing balm to those that are ill in my life.